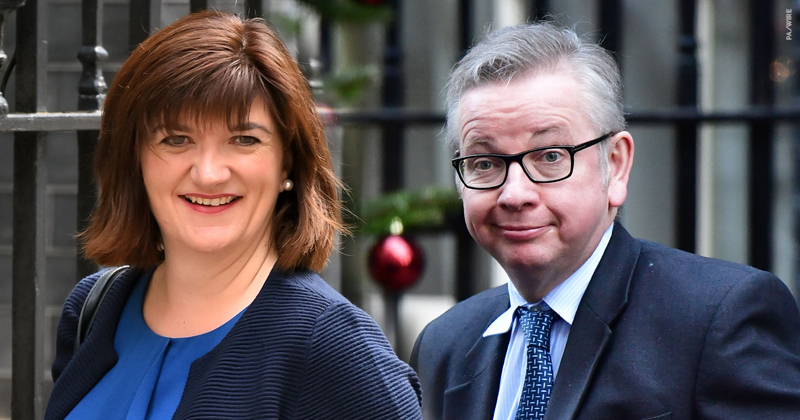 A landmark review of exclusions will demand the government revives plans to make schools retain responsibility for the results of pupils they exclude. 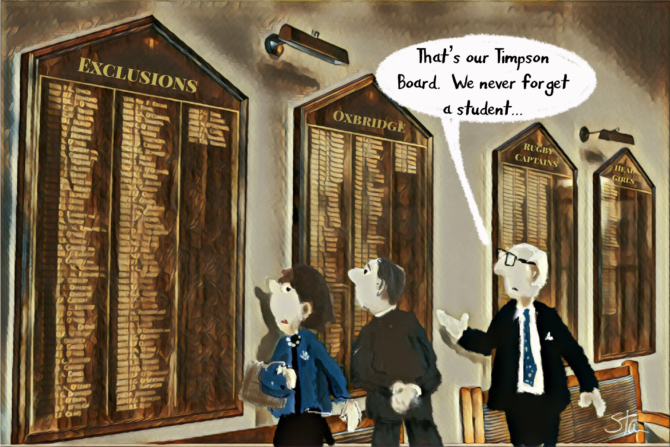 Leaked documents show that the Timpson review will call for a “significant shift” for schools, alternative provision settings and councils, demanding that ministers “remove the potential” for heads to game the system by “permanently excluding children at the most crucial time in their education”. Edward Timpson, a former children’s minister who was commissioned to look into the practices around exclusions last year, was supposed to publish his report by the end of December. It was later widened to look at the illegal off-rolling of pupils. However, the report remains in draft form, with ministers promising it will be published before Easter. In extracts of the draft, seen by Schools Week, Timpson said the Department for Education should make heads “continue to be responsible for children who have been permanently excluded, including for commissioning high-quality and safe alternative provision where this is needed and remaining accountable for the educational outcomes of this”. In practice, that means the performance of excluded pupils will count towards the school’s league table position. The government must also address the “cliff edge” of the January census of year 11 pupils, which allows schools to “divest themselves of responsibility so long as children move on before this point”. Previous attempts to hold schools to account for excluded pupils were broadly welcomed by proponents of no-excuses behaviour policies and those who favoured a softer approach. The policy was included in Nicky Morgan’s 2015 Educational Excellence Everywhere white paper. However, according to a former DfE official, there was “a lot of institutional opposition from multi-academy trusts” and the policy was shelved in 2016 by Justine Greening, Morgan’s successor. cussions have focused on whether to tie pupils’ Progress 8 scores to the excluding school. But one sector official warns that headteachers will not want to be held accountable for excluded pupils without individual exclusions put into context. The official, who did not want to be named, said the proposal could “play to the narrative” that the sector was full of “nasty heads who are dumping children out [of their schools]. In the draft, Timpson said the proposal had been considered by successive governments. “This review has demonstrated that there is widespread interest about progressing this amongst those who work in education. The report said the proposal would need “careful design to be successful and achieve its objective”, but also warned that changing accountability measures alone “will not drive the change that is needed if we are to expect schools to do more before exclusion of this type. “It is vital that raising our expectation is matched with the support from all levels that will allow them to fulfil this role well and with confidence. “Although support for schools retaining accountability was common amongst mainstream and AP schools as well as local authorities and parents and carers, there was a clear sense that any change needed to come with the right support for schools to be effective in this role. In his 2010 Importance of Teaching white paper, Michael Gove, the then education secretary, proposed that schools be “held accountable”, with academic performance of excluded pupils counting towards the school’s place in the league tables. The idea surfaced again last summer when Angela Rayner, the shadow education secretary, announced plans to hold schools accountable for excluded and off-rolled pupils if Labour gained power. 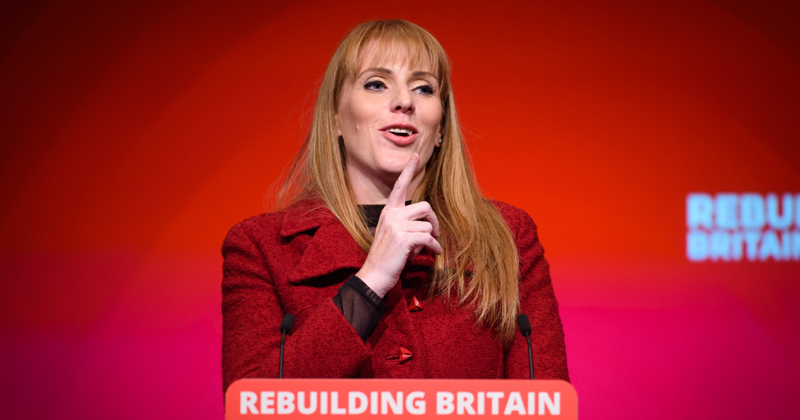 This week Rayner urged the government to “stop dragging its feet”. ← ‘Flattening the grass’: what’s really going on at OGAT and Delta?